Speech and language therapy can have a significant impact on the children and young people in our schools. It’s a lot more than just being able to speak and communicate. With diminishing external services the pressure on schools is increasing; it is often up to schools to secure appropriate provision themselves. I have written previously about how we, at Priestnall School, are developing services and provision with feeder primary schools (Morewood & Drews, 2015). There seems to be an ever-growing interest in our flexible packages of support as part of a school-led system. In this post, I explore speech and language therapy and the importance of communication as part of an early intervention. Why is speech, language and communication important? 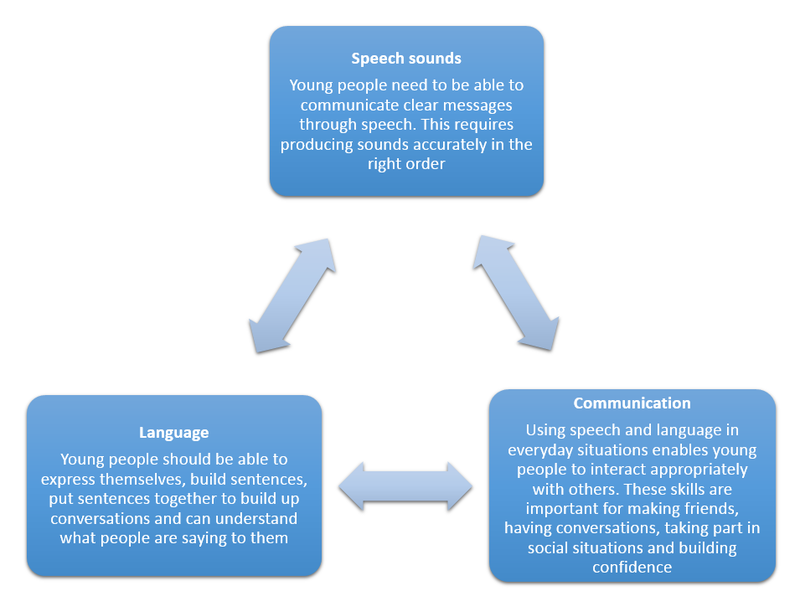 What can speech and language therapy achieve? Speech and language therapy can offer support for children with a variety of needs and it is important to understand the range of areas that can be supported. The benefits most commonly associated with a speech and language therapist are actually just the tip of the iceberg. Listening skills, concentration, staying on task. Memory for information and sequences. Following instructions – needing explanations/repetitions. Ability to organise self (timetables, tasks, equipment). Ability to pronounce longer words clearly. Phonological awareness (sound patterns such as rhyme and syllables). Expressing self with clear, fluent speech that is easy to understand. Word finding – getting the right word at the right time. Organising sentences into longer accounts e.g. explaining or telling a story. Understanding word meanings and general vocabulary. Understanding abstract vocabulary/concepts e.g. maths, time. Understanding straight forward written language –instructions, worksheets, text. Understanding non-literal language and making inferences. Conversational skills – turn taking, staying on topic, good listener. What services can a speech and language therapist offer? Communicating with parents/carers, teachers and other professionals. Spending time with the student and monitoring their behaviour. 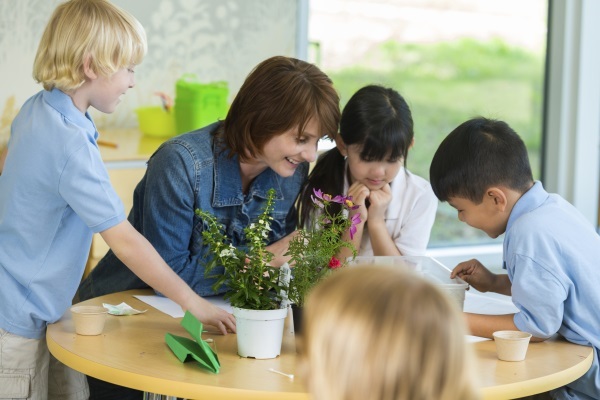 Informal assessment/activities – such as looking at books and pictures with students. Using formal assessment to look at how well their speech and language skills are developing in line with their peers. Giving advice and information to staff working with students regarding speech, language and communication difficulties. Setting detailed individual therapy plans for school to deliver. Providing regular therapy sessions with individual students. Providing therapy sessions with groups of children to focus on developing speech sounds, language development or social communication skills. Providing training for staff & parents/carers. As I often say – don’t take my word for it! The SENCo from one of our feeder primary schools has offered this account of the service. 'Having worked with the school's speech and language therapist for some time now, it is quite clear the impact she has had at our primary school. For the first time, we are in a position to state that all the children that attend our school with some form of speech and language difficulty are now being supported. The therapist has carried out comprehensive assessments, written speech and language programmes, worked with individual children and worked with small groups of children to address their needs. She has given teachers and teaching assistants additional support programmes which they are able to carry out each week to support the work that is being undertaken. The turnaround from referral to action is about one week and I fully recognise the difference that has been made. As the school SENCo I feel incredibly fortunate to be in this position. Not only has the therapist been able to give a fantastic level of support she has also been able to help me develop my understanding of the difficulties children encounter within the many areas of speech and language.